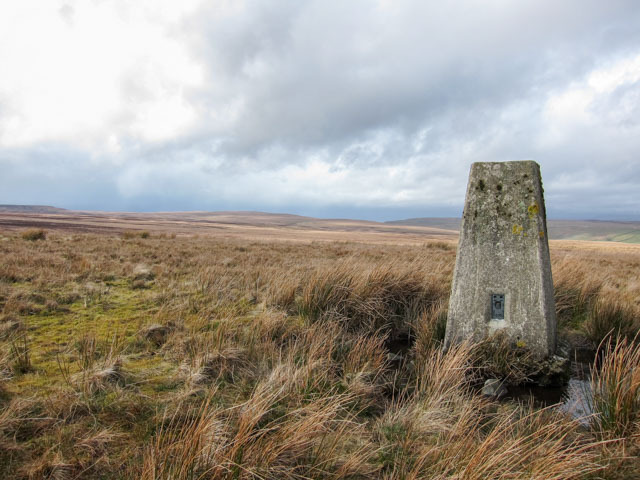 Is ranked joint 3510th with 37 other trigs (more). 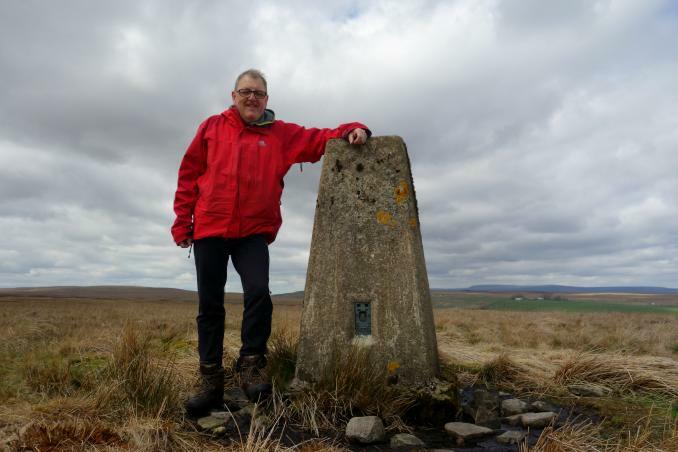 Walking 10 mile circular from A66 Gods Bridge on Pennine Way then shooter tracks. Good weather has returned after resent weekend storms. 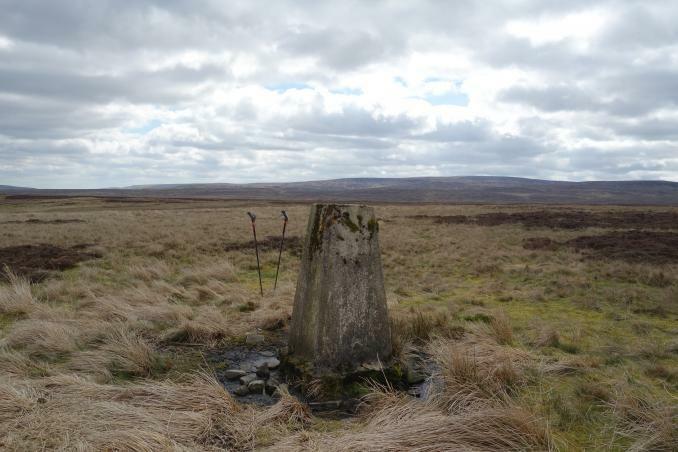 Long walk in from sleighthome on tracks then out and back across moor trig has damage/cracking at the top good long views last historic yorkshire trig done all the four ridings now.Bagged kisdon my last dales marilyn on way back too. 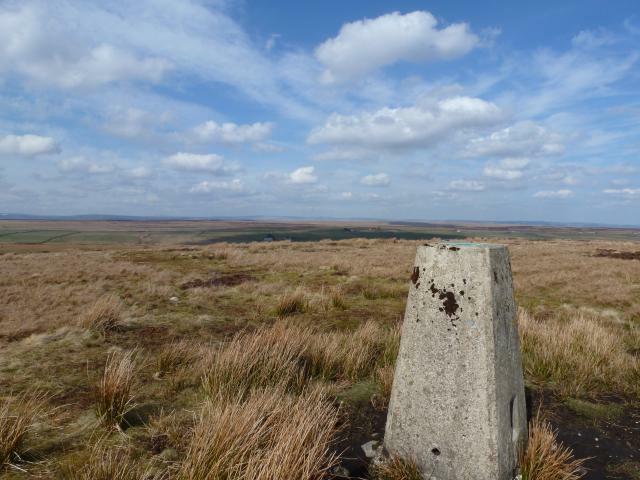 Cycled from Grey Grits - walked across moorland from several hundred metres E of trig. 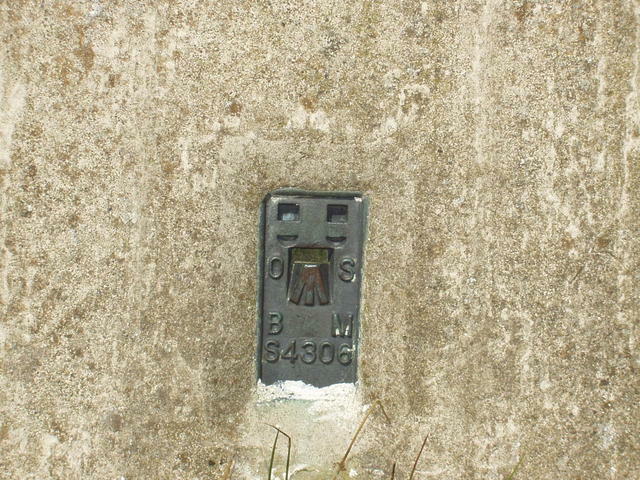 Top face concrete layer (about 10 to 15mm thick) has one corner missing - thin cracks on one side face - open spider - some ground erosion. 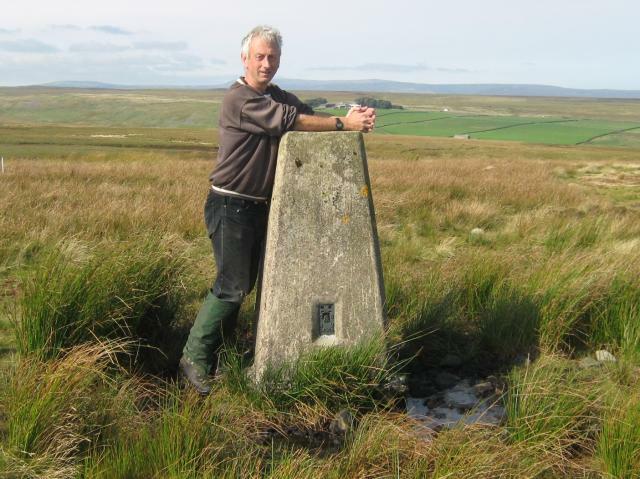 Thanks to senrabyar for the idea of the route from Rey Cross following the trackbed of the former Stainmore Railway. 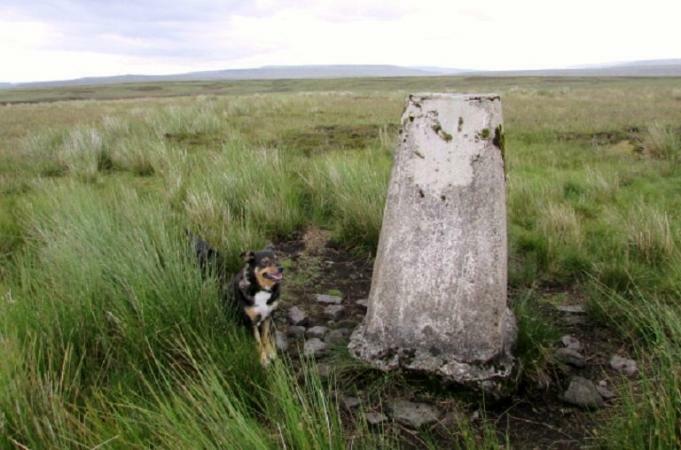 The trig occupies a lonely spot. 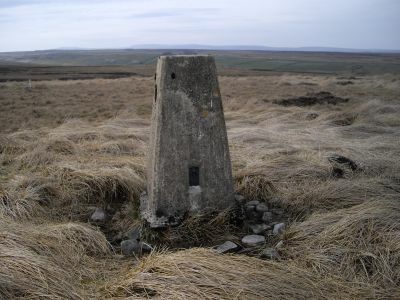 Used Sleightholme Moor Road from Great Cocker / PW / then shooters track over Dry Gill and Bog Moss, column visible from summit of the track approx 400m east over heather and moss. Easy access over shooters track though last half mile quite wet underfoot. I'm not sure that the landowner would encourage crowds disturbing his precious birds! 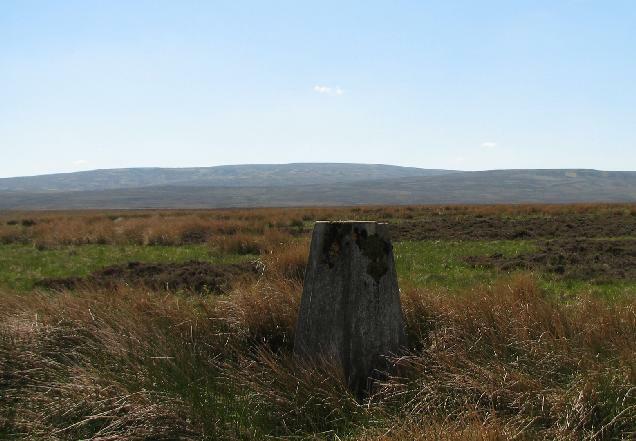 Probably best not clocked in shooting season (this is clearly a very well managed and organised grouse moor)! 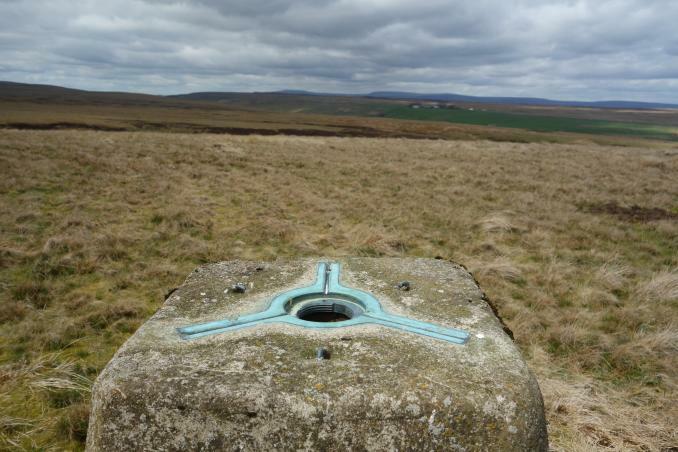 Decent views esp north to A66 corridor. 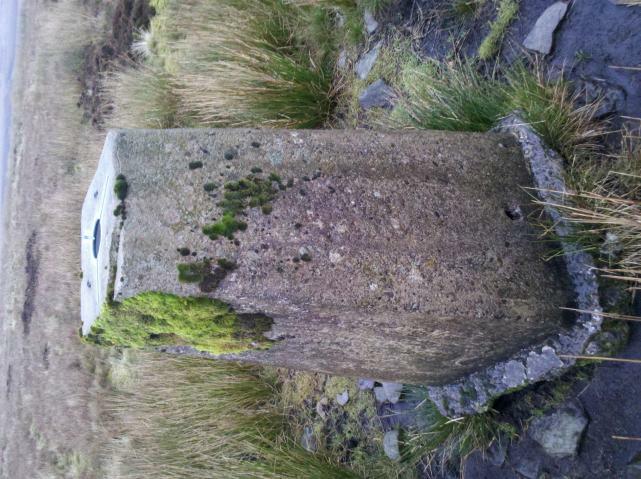 Pillar in good condition but with slight weather damage to top surface. Spider centre open. 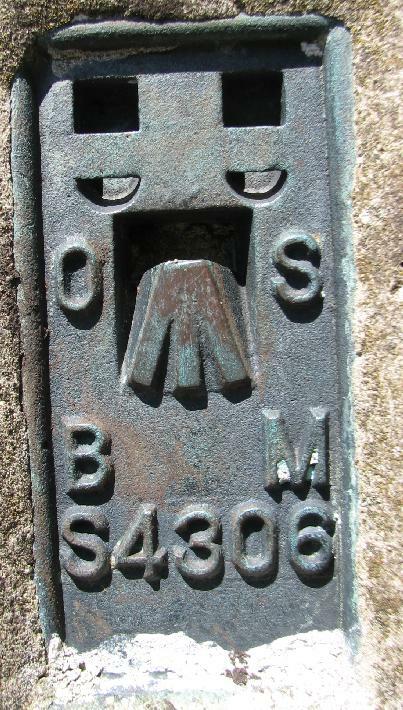 Flush bracket faces SE, ~139�. Vented through SW sight hole. 360� open outlook. 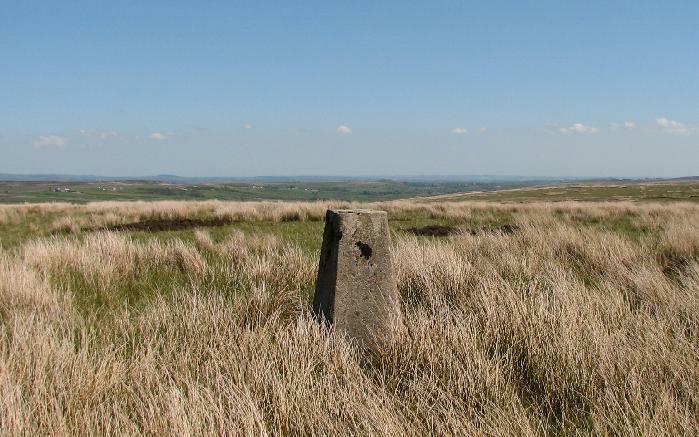 Walked up from the Pennine Way using the shooters track, warm day with a cooling breeze, only underfoot damp is on the tops. Top screed corner absent. Parked at Rey Cross and used old railway track bed for most of walk. 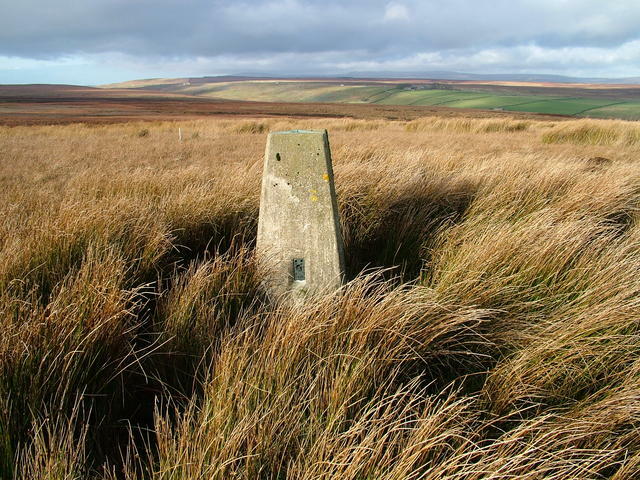 Trig is remarkably mossy considering its exposure. Didn't look exactly vertical any more - maybe it was a trick of the light. 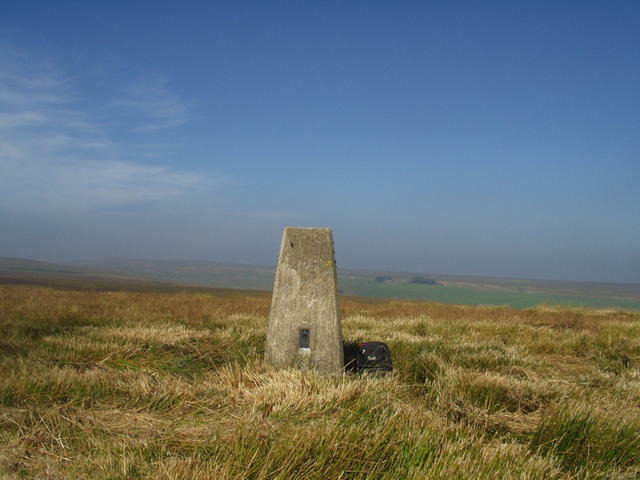 Now my Durham Trig count is 78 - so just one left. Plug missing, top slightly damaged, one sighting hole open, base exposed. 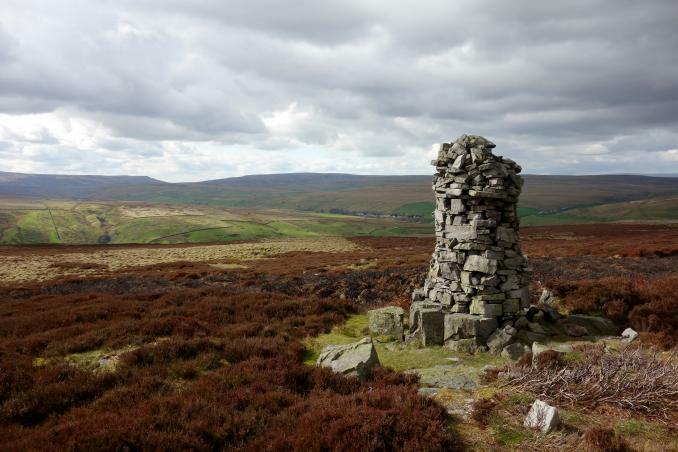 Warm, hazy day; Tan Hill Inn seen in the distance and Bowes Castle to E but view dominated by the A66 'motorway'. 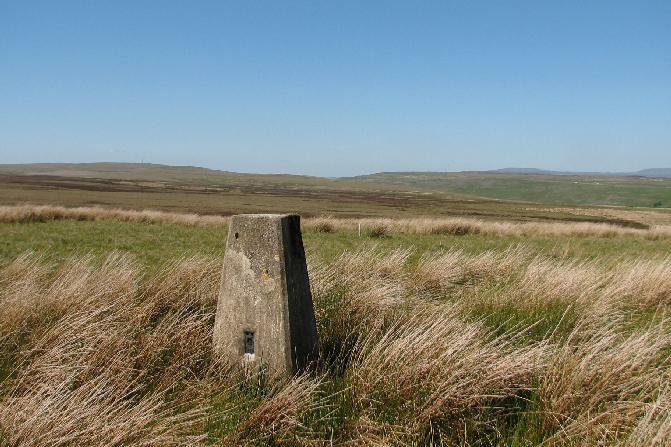 Approached from Pennine Way then hard track for most of the remainder. 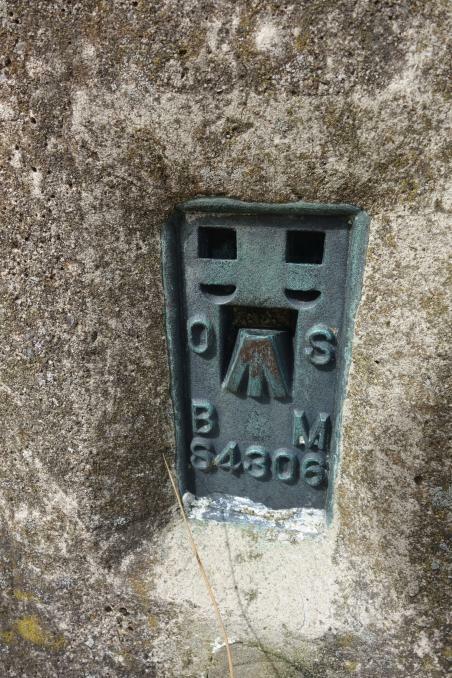 Met GOML on the way back but as far as I know (map out of date) this is an access area. Nice views on a lovely summers day. 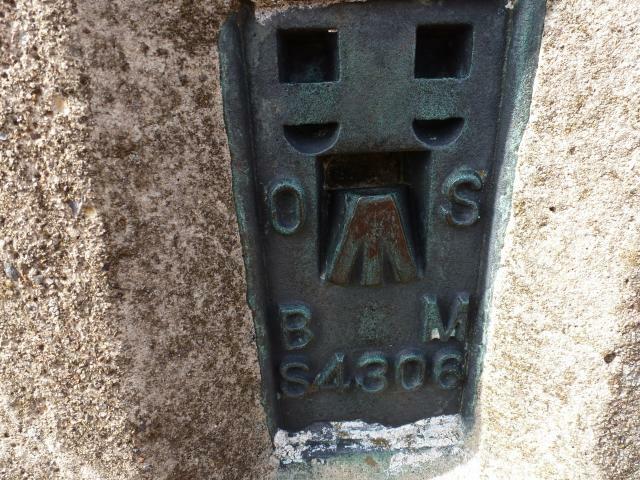 Little bit of flaking on one corner of the trig and the centre plug is missing but otherwise in good condition. A bit boggy. Plug missing.